Our faculty is engaged in collaborative research with other departments and medical research institutes to help discover the novel drug therapies to treat cancer. The department of chemistry hosts the Interdisciplinary Computation and Modeling research Program for Undergraduate students (ICoMPUte) funded by the National Science Foundation, in which students work in interdisciplinary teams on projects involving wet lab experiments as well as molecular simulations. Participating chemistry faculty: Emilio Gallicchio, Ryan Murelli, Aneta Mieszawska. We use theoretical and experimental methods to study the properties of liquids and interfaces. Our work considers fundamental questions related to liquid structure and the behavior of solvents as well as applied problems such as the extraction of toxic or valuable metals from water. Key to this work is the connection of basic physics to emergent chemical properties such as hydrophobicity and solvent polarity. ALS is a progressive neurodegenerative disease that affects both lower motor neurons in the brainstem and spinal cord, and the upper motor neurons in the motor cortex. No cure is available for ALS, and current treatments fail to control symptoms. ALS is classified into two categories: familial and sporadic ALS, both of which present with similar clinical symptoms; familial ALS represents 5-10% of cases. Familial ALS has been linked to mutations in 40 different genes. How can so many genes - involving many distinct cellular functions - produce the same symptomatology? And how can we treat a disease with so many apparent molecular causes? Could there be a role for epigenetics in the etiology of ALS? Eukaryotic DNA is packaged into chromatin, a highly organized protein-DNA complex. Changes in the composition and structure of chromatin are sufficient to cause heritable phenotypic changes. These changes are termed epigenetic. Epigenetics determines whether, when, and how particular genes will be transcribed. The basic unit of chromatin is the nucleosome, which consists of DNA wrapped around a histone core. The N-terminal “tails” of histones project out of the nucleosome core. The protruding histone tails are decorated with various post-translational modifications (PTMs) including chemical moieties such as phosphorylation, methylation, and acetylation. These modifications regulate access to genetic information. We hypothesize that epigenetic mechanisms - namely histone modifications - play a pivotal role in the neuronal death characterizing ALS. Our lab studies the histone modification profiles relating to ALS in several model systems using both immunoblotting and proteomic methods. We are grateful for funding from the NINDS K22 Transition to Independence Program. 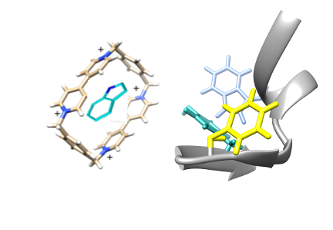 Our recent work has shown that cation-π interactions---between an aromatic molecule and an apositioned cation---are not merely electrostatic in nature; aromatic electron density is transferred to the cation, lending a radical character to the aromatic. 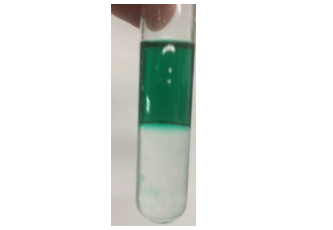 Unexpectedly, this results in visible absorption and fluorescence from the cation-π complex. Because these interactions play a key role in many biological scenarios---the binding of ligands to acetylcholine receptors and the interaction of reader proteins with histone tail methylated lysines, to name only a couple---understanding the subtle effects of the myriad possible combinations of aromatics and cationic ligands on their spectroscopy becomes a useful tool for drug development and for organic (bio)electronics. This is the subject of our work. Our group utilizes both experimental and theoretical methods to research fundamental aspects of organic photochemistry. Our main focus is controlling and amplifying the production of reactive oxygen species. 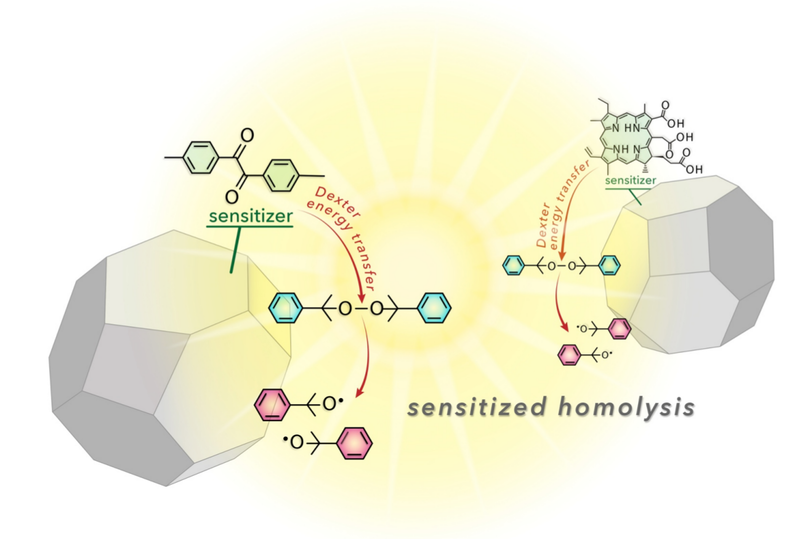 Our current projects involve organic oxidation mechanisms, visible-light photosensitization, reactive intermediates, and photo-reactor development. We also study the interfacial behavior of reactive oxygen species, including singlet oxygen and alkoxy radicals. Our fundamental research is connected to applied research in the area of photodynamic therapy. Gallicchio's lab develops theoretical models and high-performance computing software to model chemical and biological processes. 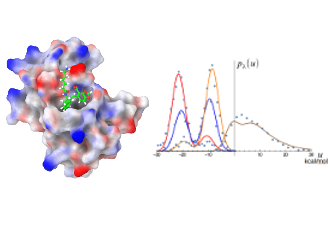 The current focus of the lab is the use of atomistic molecular dynamics simulations on GPUs and statistical inference to predict the affinities of drugs to target protein receptors. These tools are used to screen chemical compounds on computers before they are synthesized, and to guide the optimization of drugs to improve their selectivity and efficacy. The lab collaborates with medicinal chemistry laboratories at CUNY and elsewhere to help develop therapies for cancer, viral infections, and drug addiction among others. Our research interests are highly interdisciplinary spanning topics from biochemistry, physics, statistics, and computer science.